for you and your friends to use for a week? What’s in your Stay and Float Package? You might assume your float is included and it is! Rafts are included and you choose Leisure or Adventure Trip. If you prefer a kayak, there is an additional $5.00 fee per kayak rider. Canoes or tubes at no extra fee. What kind of stay is included? 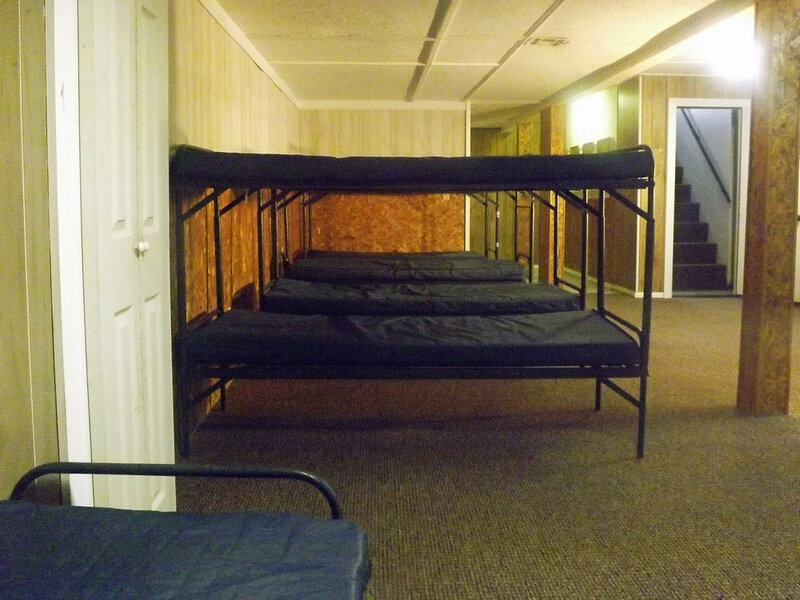 Your choice: You can pitch a tent outside or throw a sleeping bag in the air conditioned bunk room. RV’s welcome, however connections are still in planning. The Big Barn is now much more than just a weekend of Group Fun! Your group will have exclusive use of the private Big Barn with large, air-conditioned meeting room which includes long rustic bar and kitchen and two bathrooms. 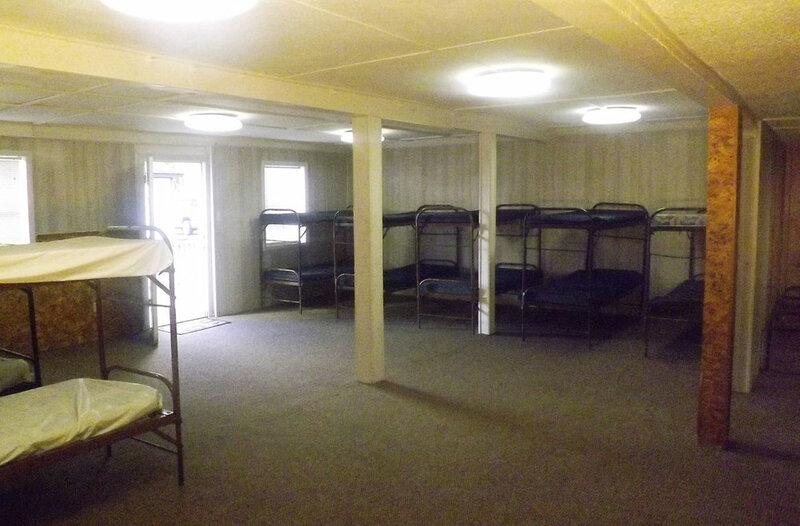 Two bunk rooms downstairs have camp bunks for up to 40. You have a WEEK, so come early and stay late for your Fun!